Lifetrenz Hospital Management System has an extensive MIS & Reports module built into the Solution. 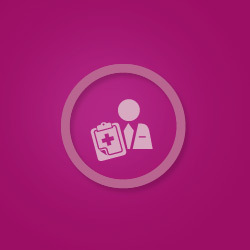 Due to the design methodology of architecting the solution to be Patient-Centric and driven by Business and Clinical Processes and being compliant to Indian and International EHR standards, the solution captures all the necessary data required for creating reliable Operational, Financial and Clinical Reports. Lifetrenz Hospital Management's Financial MIS & Reports module offers accurate and timely reports that are needed by the Finance Department to analyze and improve the Financial Efficiency of the Hospital. Availability of data that can give insights into the Hospital�s operations is vital to achieving operational efficiency and optimal use of resources. Recognising this, Lifetrenz Hospital Management System has designed various reports for the Operations Team that will enable them to analyse & improve operational efficiency and also contribute to the business of the Hospital. Lifetrenz Hospital Management System captures clinical data compliant to Indian & International EHR standards, which helps in providing Clinical Reports with detailed trends & analysis. Such detailed clinical reports and analysis helps the Hospital to monitor the quality of care being delivered. If you are a decision maker at a Healthcare Facility, and would like to see a Demonstration of any of our Products for the Healthcare Vertical, We would be keen to demonstrate the same. New to EHR? Learn everything you need to know about EHR!